The United States announced Wednesday it will impose new sanctions on Russia for illegally using a chemical weapon in an attempt to kill a former spy and his daughter in Britain earlier this year. The new sanctions, to be imposed later this month, come despite President Donald Trump’s efforts to improve relations with Russia and its leader Vladimir Putin, and amid the ongoing probe into Russian interference in the 2016 U.S. election. The State Department said the U.S. this week made the determination that Russia had used the Novichok nerve agent to poison Sergei Skripal and his daughter, Yulia, and that sanctions would follow. It said Congress is being notified of the Aug. 6 determination and that the sanctions would take effect on or around Aug. 22, when the finding is to be published in the Federal Register. 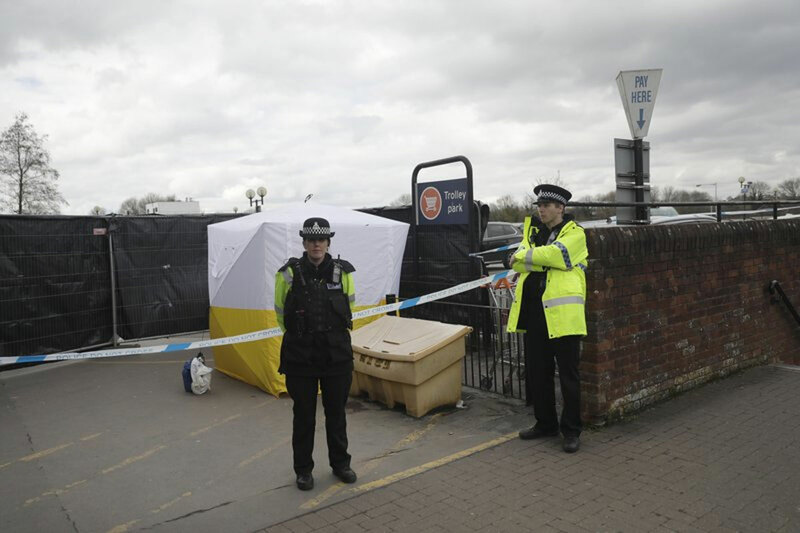 Skripal and his daughter were poisoned by the Novichok military-grade nerve agent in the English town of Salisbury in March. Britain has accused Russia of being behind the attack, which the Kremlin vehemently denies. Months later, two residents of a nearby town with no ties to Russia were also poisoned by the deadly toxin. Police believe the couple accidentally found a bottle containing Novichok.